Her attorney is seeking a hardship waiver, which so far the government won't grant. "I can't imagine a bigger injustice than that, to be deporting [the wife of] someone who is fighting and possibly dying for our country," Kolken told WBZ. All this comes as the military continues to search for Jimenez and another soldier, Pvt. 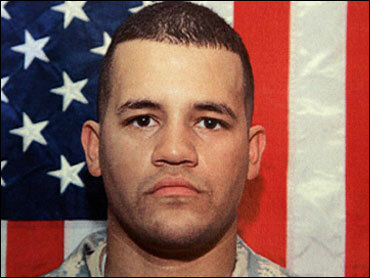 Brian Fouty, missing in Iraq since May 12, the only trace an ID card found during a raid on an al Qaeda safe house.